What is Adaptil for Dogs? 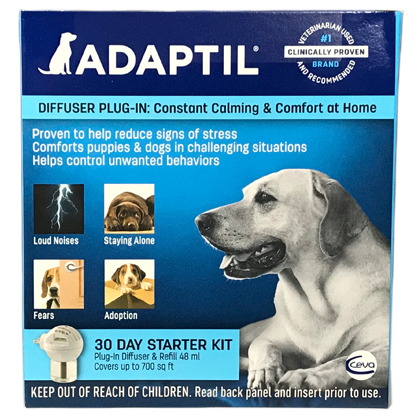 Adaptil For Dogs is a plug-in diffuser that releases a calming pheromone. Just plug it into the room where your dog displays signs of stress, and get 24-hour control. Adaptil also comes in a spray that can be used on your dog's bedding. How does Adaptil For Dogs work? When you plug Adaptil into an electrical socket, it emits a scent that mimics naturally reassuring pheromones. It includes Adaptil (Dog Appeasing Pheromone), a proprietary formula that mimics the appeasing pheromones secreted by female dogs when nursing that sends a signal of comfort and safety to her puppies. When your dog senses the pheromone, he or she feels secure and comfortable, reducing anxious reactions and the urge to act out destructively. Read all instructions before using. To reduce the risk of injury, close supervision is necessary when the product is used near children. Do not put fingers or hands into the diffuser. Adult assembly is required. The surfaces of the diffuser reach high temperatures to create evaporation of active ingredients. These surfaces should not be touched when plugged in. Don't use this product with any other type of plug-in device, or place it underneath or behind furniture. When plugged in, do not touch with metal objects or wet hands. Harmful if swallowed. Call your physician immediately. For Adaptil For Dogs Plug-in Diffuser: Remove the cap from the bottle. Screw the diffuser onto the bottle and tighten. Plug the diffuser unit into an electrical outlet in the room your dog spends the most time in. 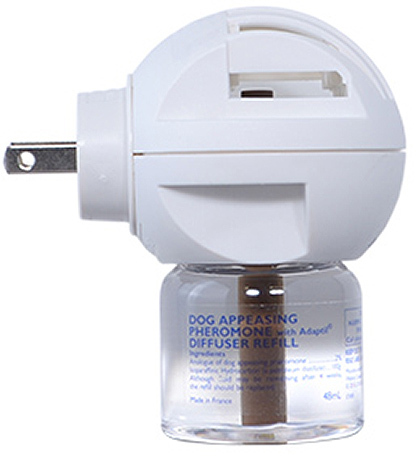 One bottle of the Plug-In Diffuser lasts approximately four weeks and covers an area of approximately 500-650 sq ft.
Diffuser Maintenance: Oils may collect on the diffuser over time. To clean, remove the diffuser from the outlet and wipe it with a clean, dry cloth. If the diffuser is removed from the outlet, separate the refill from the diffuser and store it at room temperature in the upright position. For Adaptil For Dogs Spray: Spray the area 15 minutes before introducing your dog. Use 8-10 sprays every 2 hours to help keep your dog calm and relaxed. When using Adaptil Spray, do not spray directly onto your dog. Plug Adaptil For Dogs diffuser unit into an electrical socket in the room most used by the dog. 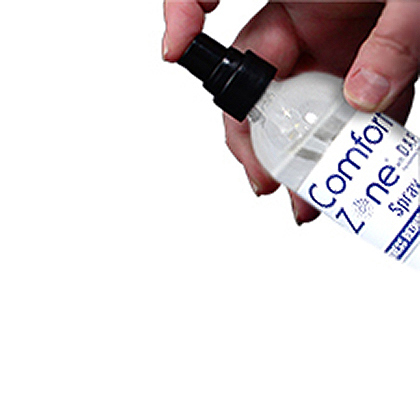 One bottle lasts approximately four weeks and covers an area of approximately 500 to 650 sq ft.
Spray on the bed or bandana, in the car, or crate 15 minutes before exposing your dog to the treatment area. Use 8-10 sprays every 2 hours. Do not spray directly on your dog. All Adaptil products should be stored at room temperature. Always store diffuser bottles in the upright position.